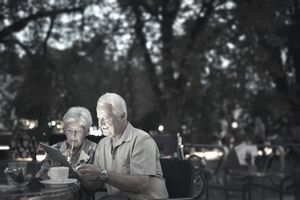 There are actually several retirement-related birthdays and dates, some of which could be more important than 65 when it comes to planning and managing your post-career finances. That’s because several tax rules and Social Security benefits are tied to different age benchmarks. Mark the following on your calendar. 50—Higher contribution limits, called “catch-up” provisions, are available for your retirement accounts. Starting at the half-century mark, you can stash an additional $6,500 per year in your 401k and an extra $1,000 in your IRA. 55—If you retire in the calendar year you turn 55, you can start taking withdrawals from your current employer’s 401k without paying the 10 percent early withdrawal penalty. Warning: Rolling that account into an IRA will make your money subject to early withdrawal penalties for another four and a half years. 62—You can start taking Social Security, but there are some downsides to consider. Starting now will permanently reduce your benefits by 30 percent. And if you decide to take a part-time job, your benefits could be reduced or suspended depending on how much additional income you earn. 65—Here’s the one we’ve been waiting for—the big Six-Five. You can sign up for Medicare as early as three months before your birthday with coverage starting on the day you turn 65. This is one to put on the calendar. If you don’t sign up on time, your premiums could be permanently raised. If you retire before 65, your insurance will have to be purchased via the Affordable Care Act insurance exchanges, which is not exactly cheap. Expect to pay about $800 per month for modest, high-deductible coverage for you and your spouse. 66—If you are a Baby Boomer, you will reach what Social Security deems your “full retirement age” at some point in this year. The oldest Boomers hit that mark at age 66 and 2 months. Those born in 1959 will have to wait until they are 66 and 10 months. But it’s worth the wait, as this is the age when you can start to receive your full Social Security payments. And those benefits will no longer be impacted if you do decide to take on a part-time job. 67—Full retirement age kicks in for those born in 1960 or later. 70—Your Social Security benefit will increase by about 8 percent every year that you delay taking it up to age 70. If you haven’t started getting your benefit yet, start now. 70.5—You must start taking distributions from your 401k or traditional IRA. If you are still employed at this age, you have until April 1 of the year after you retire to start taking your money. And, you will no longer get the tax break for making contributions to those types of funds.